When the Ibex, Trak and Ascent were released, I liked them all, and asked Vibram Disc Golf head honcho Steve Dodge when they would have a long range driver. He explained that Vibram was methodically releasing discs on a regular basis, focusing on having a disc model for each category and sub-category within a couple years. I found the Ascent to be very useful as a stable fairway driver and the Trak as a versatile midrange/fairway driver finesse disc and roller. But I dreamed of throwing a long-range, fast, strongly overstable driver with the grip and ‘grab’ of the current models. A few months later the Obex arrived in the mailboxes of us testers, and I loved it (and still do). It had all the stubborn stability I hoped for, with unusual forward glide for a disc that stable. That satisfied me for a little while, but we always want more, don’t we? I again inquired about a long range driver with the same qualities, and was patiently and politely reminded that it was coming, in due time. After the release of the Lace, Vibram sent us two models, one which resulted in the UnLace, and the other a disc easily more overstable than any I had ever thrown before. That thing had practically no glide whatsoever and seemed to almost fight the anhyzer angle I tried to give it before it even left my hand, like two strong magnets of opposing polarity. Ok, that last part was probably my imagination, but you get the picture. I must not have been the only tester who felt that way because when the production model of the O-Lace came out -much like Baby Bear’s porridge, chair and bed – it was just right. The Vibram O-Lace is a fast, very overstable driver. And while it doesn’t break through any barriers in terms of its speed or stability it is nonetheless a breakthrough disc. There are a couple characteristics all Vibram discs have in common; first, the rubber compound provides a grip that is superior to any plastic blend, and it also tends to skip less or at least not as far. Second, the the stability-to-fade/glide ratio tends to be better as well. By that I mean that compared to other discs there isn’t as much of a tradeoff between stability and glide. The overstable discs in the Vibram lineup don’t fade as quickly as you’d expect for discs that can handle power the way they can. 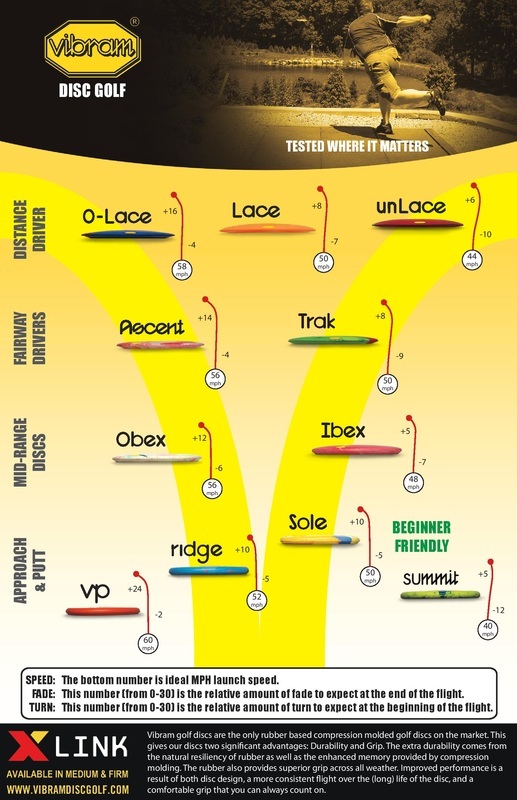 All of these factors are present in the O-Lace, and that is why I consider this disc so special. Think about it: the fastest drivers are normally the hardest to throw and typically involve the most extreme effort on the part of the thrower. What better time to have a sure, reliable grip? And which discs tend to get away at the end of the flight due to a sharp fade? Just check the flight charts. The answer is fast, overstable drivers, of course. But the O-Lace is notably different. When I took mine out to Pinto Lake, where the holes in the upper meadow all have fast fairways and OB lines left and right on every hole, that difference was remarkable. Thanks to that grip I felt I had full control as I put it through its paces. It handled both low flat screamers and big power anhyzers, always ending with reliable fade at the end. It netted just as much distance as any other similar disc in my bag. And probably the most useful feature on that course where discs so easily skip-and-slide out of bounds was the way it bit and stopped quickly even when landing fast on a sharp edge. 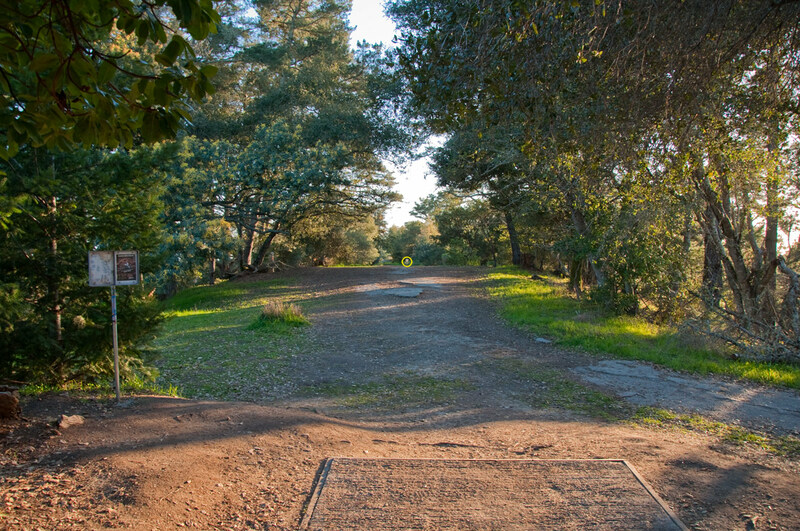 I was able to throw much more aggressive drives on those open but dangerous holes, knowing that my disc would not skip fast and far on the hard terrain- unless the shot was designed to do so. There is only one thing I don’t like about the O-Lace, and this goes for pretty much all Vibram discs: The variegated (definition: exhibiting different colors, especially as irregular patches or streaks) coloring of Vibram discs create two annoying problems. 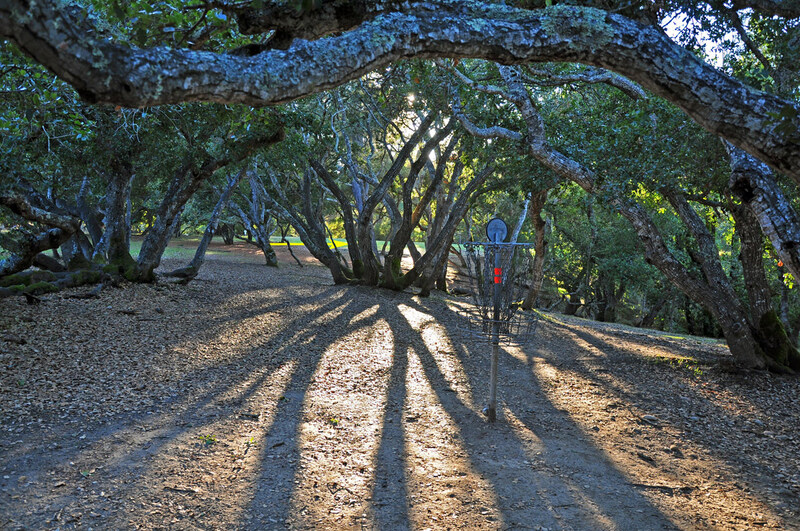 First, any disc that is not one solid, bright color is harder to find on the course. If you play in an area with lots of rough this is an issue. Second (and this is more of an annoyance than anything else), when you go to pull one of these discs out of your bag you naturally look for a disc of the predominant color on the disc. But if it has a different color on part of its edge, you may forget to look for that color as well and wonder why you can’t find the disc you’re looking for. I assume Vibram does the multi-color thing as a distinguishing design factor, but I’m hoping they someday soon give players a choice of solid or variegated coloring. My suggestion is to try a Vibram disc if you haven’t already. And if you have room in your bag, consider an O-Lace for the unique qualities I’ve described. Sometimes you want that long skip, but just as often you don’t.